"This is a little game we are creating for a Fall ‘96 debut. 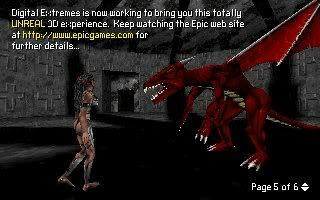 Unreal will be published in shareware by Epic MegaGames and distributed in retail stores worldwide by Electronic Arts." It seems Unreal was going to be distributed by EA at one point, but this was changed for some unknown reason. Here are a few screenshots of very early builds of the game (From 1995, 1996 and 1997) Almost everything you see in these screenshots never made it to the final retail version of Unreal. Also, if it's allowed (Not sure, thought I'd ask first) I have a collection of music from various Alpha/Beta versions of Unreal and I'd like to share them They date back to 1995/6/7. Do you have music from leaked builds only? Yes, from both the 1995 Alpha and 1998 Beta all in the original ImpulseTracker (.it) and ScreamTracker 3 (.s3m) format. Yeah, the thing is we know where those betas are located now, they are on the FATE CDs released by Numbers and probably on some BBS as well back in 1996 and 1997. I still need to find someone who has these and is willing to share it. They were on FATEs 029, 030, 036, 309 respectively, that is 96-97 stuff. BTW, the "models" in the "woman and dragon" image are actually sprites. Why do you think so? I saw other screenshots with them which showed they are models. I remember reading about that on UnrealSP. They do look like sprites to me, tho. That's because of the poor rendering, they are not sprites though and not everything you read must be automatically true, it was something someone thought, but those are either polygonal or voxel based models. Since the other shots showed it clearly it was 3D. OH, thanks for posting, new for me. 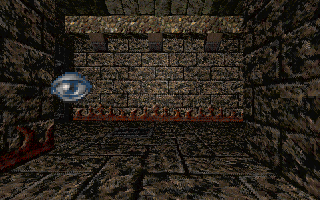 Unreal 1996 looks like Quake 1, really. I can upload music from Unreal Beta 1997, need this? 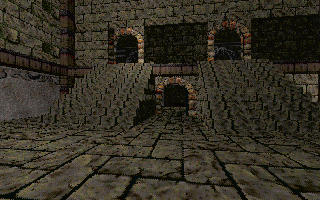 Yeah a part of it looked like Quake and bit more simplistic, but remember that they wanted to have maps running optimized and also for N64 at the time and even the 95 tech demo was a bit too demanding. So yeah they went pretty simplistic at those maps back then, then again with the hardware back then, you can't wonder why. 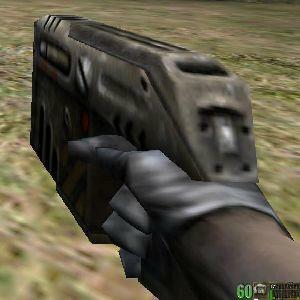 Quake was really the peak at the time and many machines even froze during gib scenes and stuff, it was that demanding. Btw about the discovery of the Numbers Fate CDs. I have stumbled upon them before I visited this site actually, and while i was looking for someone to have them I discovered someone asked for them at the requests section a while ago. I have talked to the guy who has the archives online, he had few CDs himself but none of the ones I wanted. I know of someone else too who has the entire collection, so he has those betas, but he isn't willing to share at the moment as he is busy etc and it is not sure if he will get to it. Just wanted to get out, because someone obviously misunderstood me and took me out of context. Also I know how at least the level preview files were named, they were ROR-UNL(1-4).zip. Yeah by the infamous release on rampage (known for leaking Quake before its release). At least one other beta was released by them as well. 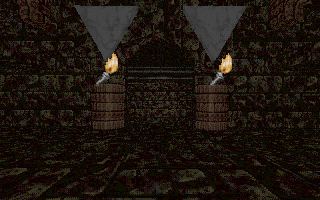 I believe that VERY early on in Unreal's history (1994/1995) that sprites were used as simple placeholders, but as Leo said, these screenshots are of actual 3D models. Look at this one; you can see that the Woman's hands are flat, just like the final player models'. I would VERY much like to see these CD's, particularly the ones with the Unreal content on. I hope your contact agrees to a release soon, Leo. Hell, I'd pay good money to have them. we have a very small chance to find someone who still have it nowadays and would release it for all. 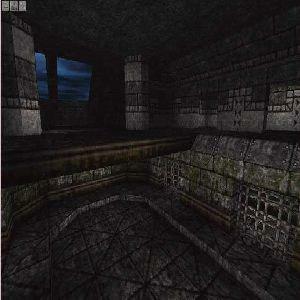 A 'rare to find' alpha build from 1995, contains 4-5 maps, seems like a tech-demo. The well known (but hard to find?) 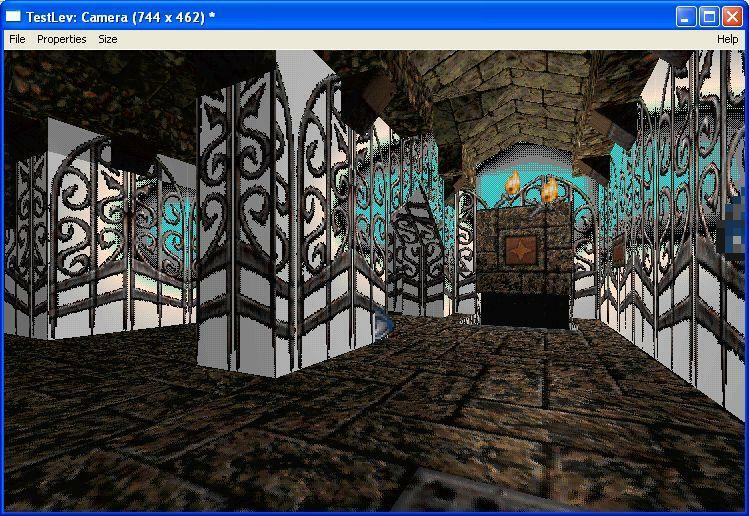 unreal 97-98 leak, with unreal editor. log says build 099. Nah, these are well known to us and are generally avaiable. But thanks for preserving that anyway seeing as it mostly included the original archives. The special edition was uploaded by me back in 2005 and it's not considered beta. It is basically like shareware version, except the shareware version never surfaced, but this one should be considered shareware. Thanks for the info, and the fix I think I will try these oldies again. loxotron, if you (Or anyone else) is as interested in the 95 Alpha as I am, I can upload some of the original maps that I modified using a Hex-Editor. I can replace the light and camera actors with monster placeholders (Such as the Dragon, Woman, Gargoyle, Wizard and Player). It's strange to note that these monsters use the "Eagle-Head" icon (Actor) instead of the "Chess-Piece" (Pawn) sprite as used in the final. I also managed to discover a "Pickup" placeholder, which when loaded into the map, displays the "Apple" (Pathnode) icon. After digging around the UNENGINE.DLL file, I was able to also change the text on the information screen that you see at the start too. Brings up the console, which you can then go to "Window -> New Camera" to bring up the editor grid. You can type commands like "BRUSH ADD", "BRUSH SUBTRACT", "BRUSH NEW" and other such commands into the console and in the game, but nothing seems to happen. I can't seem to load maps in the editor either or for that matter, do anything of real use in the editor. thanks, will check it tonight. I'm trying to get the betas from a more official source btw, but it is unsure if it will go well. They exist though, I saw the directory tree at least. Please let it be true. 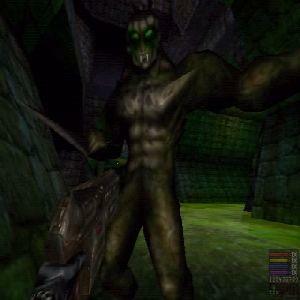 Unreal was a favourite of mine when I was younger, going back to messing around with early code will be very interesting!